Hygiene is very important for us. Rivets and screws are difficult to clean; dirt, fat and bacteria can accumulate in these areas. 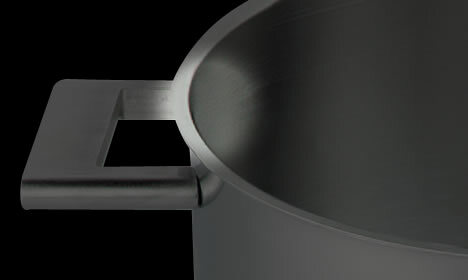 That is why we do not use screws and rivets on the inside of our products; the handles are welded to the pots, pans and lids. Welded grips are as strong as riveted grips; they are more hygienic and easier to clean.